August 12, 1936 was the hottest day on record in Texas and Oklahoma. at 120 degrees. 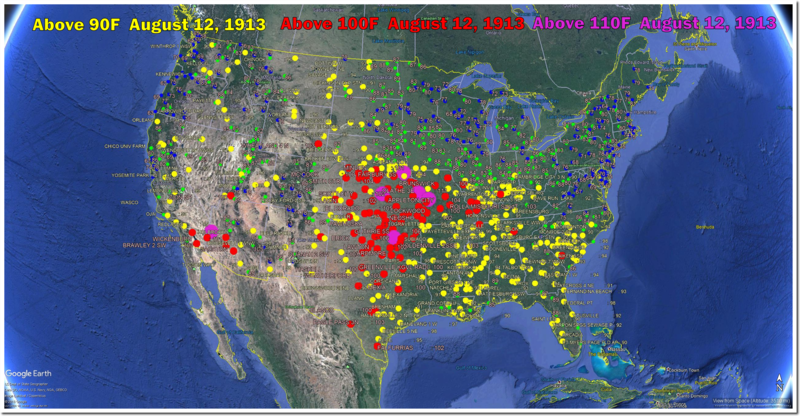 It was 119 in Kansas that day, and 111 in Nebraska and Missouri. Oklahoma hit 120 degrees on four days that summer. 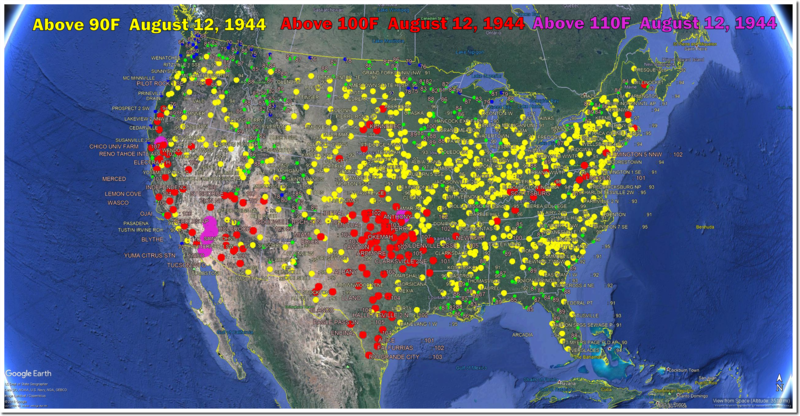 On this date in 1944, almost the entire US was over 90 degrees, with 100 degree temperatures from Washington state to Maine. 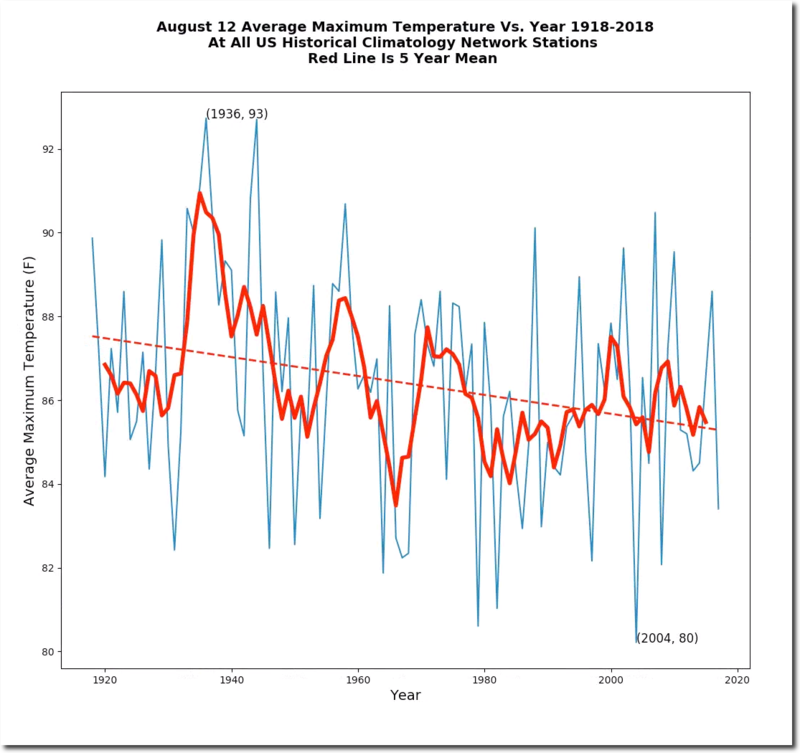 There was also a big heatwave in the central plains on this date in 1913 – the year California set the world’s record temperature of 134 degrees..
August 12th afternoon temperatures have plummeted in the US over the past century, as has the frequency of hot days. Amazing stuff… How do you even move at 120+ degrees? Gives you a ‘lift’ in the hot part of the day… makes you ‘light on your feet’, or… not. The reality is this spring will be a dazzling display of wild flowers in all the burn areas, California in particular. These flowers have established seed banks waiting for this opportunity. 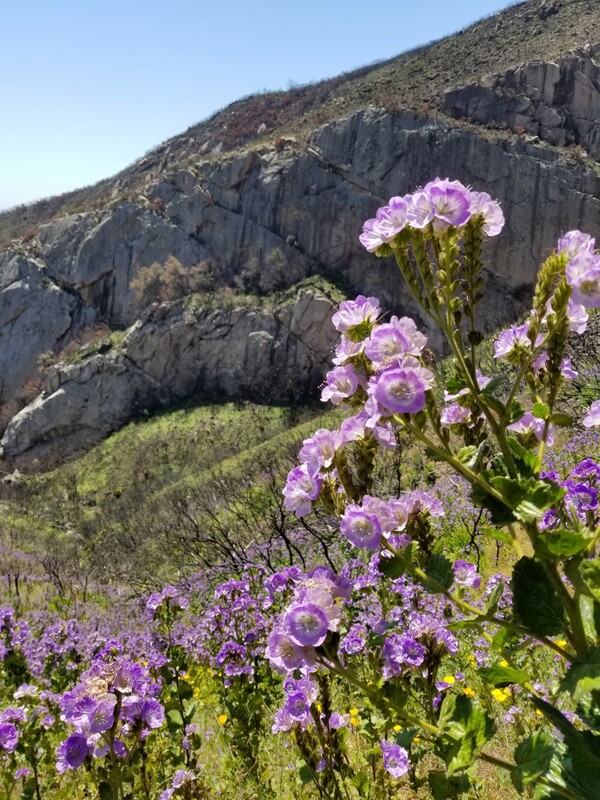 Picture is Sticky Phacelia in a side canyon of Matilija Creek inland from Ventura. The Thomas Fire burned back the canyon tree cover and hillside scrub, letting the sunlight in. Natural cycle here in California. How can people “ignore” points of view which the LA Times has been censoring for years? Yeah, but we know that Russian solar physicists meddled in progressive American and UK climate science. Even well-insulated LA Times readers may have been misled, fooled and hoodwinked by these Putin agents. The pair, based in Irkutsk, at the Institute of Solar-Terrestrial Physics, believe that global temperatures are driven more by changes in the sun’s activity than by the emission of greenhouse gases. 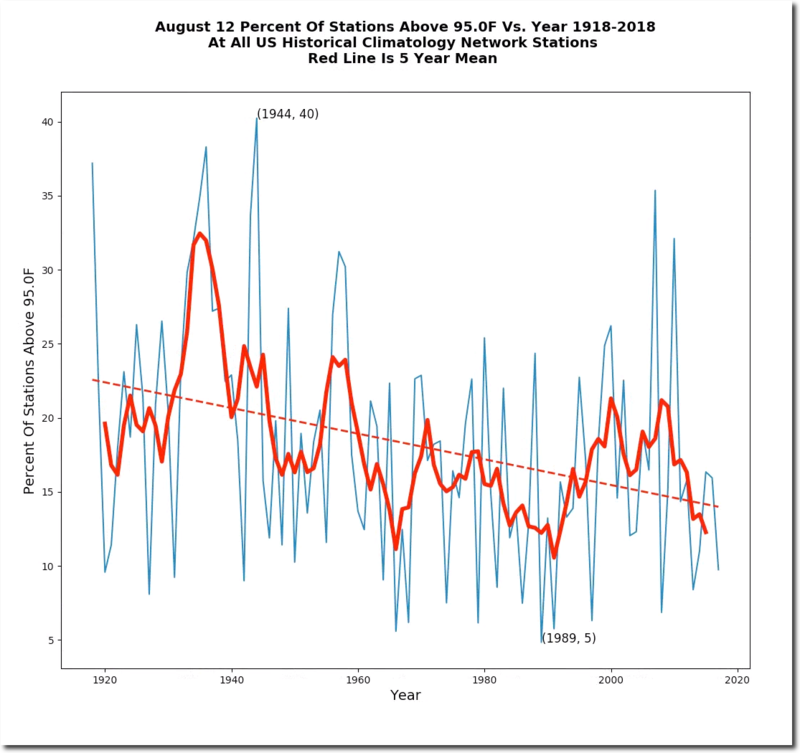 They say the Earth warms and cools in response to changes in the number and size of sunspots. Most mainstream scientists dismiss the idea, but as the sun is expected to enter a less active phase over the next few decades the Russian duo are confident they will see a drop in global temperatures. Where did they get so much money to wager, anyway? These maps showing the temperatures are powerful and compelling. I grew up in St. Louis (notoriously miserable summer weather) so I’m always zeroing in on the MidWest. Couple of thoughts about making the maps easier to read. I think you should get rid of the satellite image type. All the green land and blue water color clutters the picture. Instead use a simplified map image showing just the outline of each state overlaid with the colored station data. Also, the station names and temps should be squeezed together as they currently often overwrite other names and data, or you find the station name in the wrong state. For example Lockwood, MO station has Lockwood in Kansas and the :107 temp in Eastern part of Missouri. Instead of Enid………… :118, it should be Enid:118. Get rid of the white space. 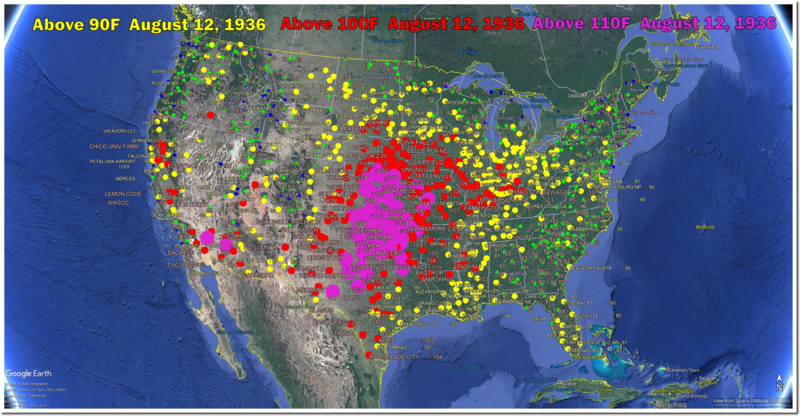 Very few people living today have any conception of what 1930’s heat was like. Compared to today, summer is a walk in the park in Oklahoma, especially this year which is a very mild, wet year. We are expecting rain for the next week. We used to hardly ever get rain in July and August around here, but this year it has rained in both months. Love it! More CAGW please! 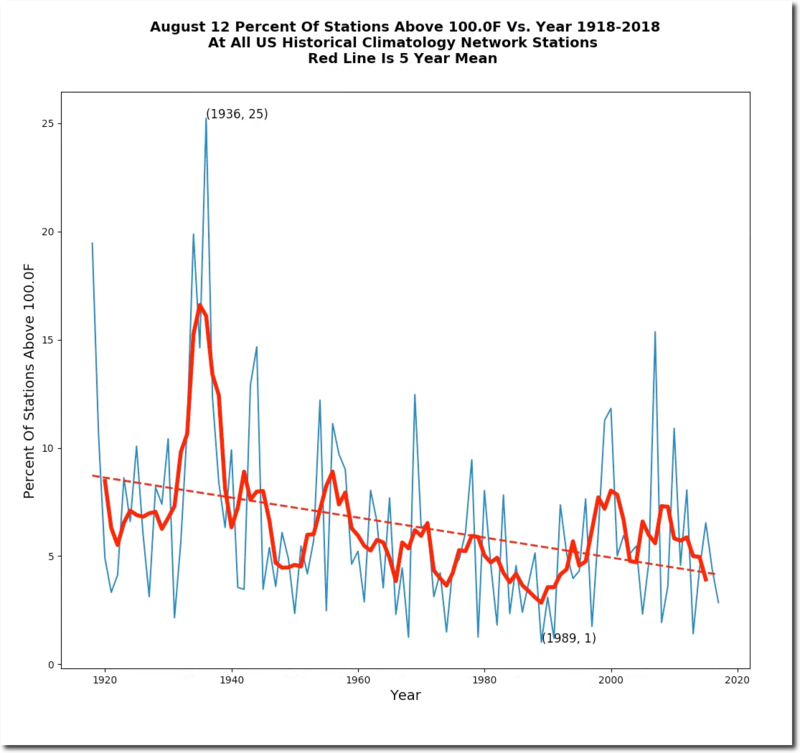 We are not even close to having the extreme weather that we had in the 1930’s. Any reasonable person could see this. 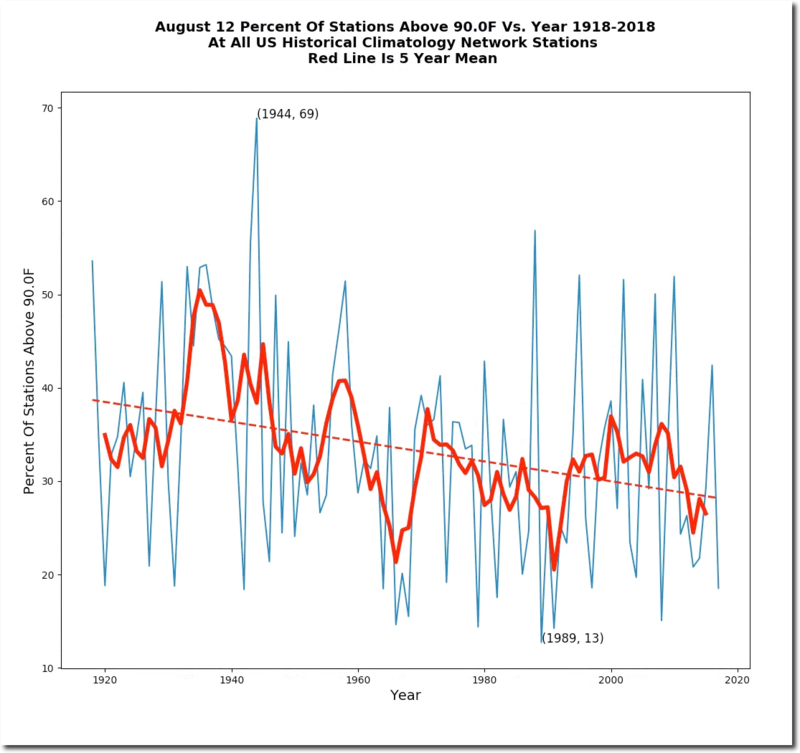 NASA and NOAA claiming the current decade is the hottest ever is a joke. A bad, expensive joke.